Strength is a skill! There are far too many young athletes prematurely exposed to strength training programs that may not be designed with the athlete’s best interest. There should be a systematic long term approach toward teaching every fundamental component of strength. It must be understood that there are many forms of strength training. It is important to choose a program that is properly designed to help your athlete achieve their physical goals safely and efficiently. Separating scientific fact from marketing hype, Titan has designed strength training programs for virtually every sport for a wide variety of ages. 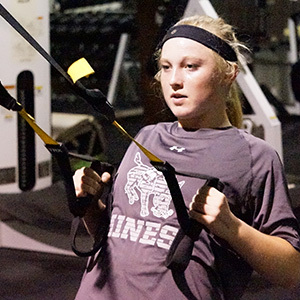 There are basic concepts that must be the foundation of any strength training program. Train core strength before extremity strength. Build strength from the bottom up. Progress from simple to complex training. Train to progressively overload muscle to force strength adaptation. We do not currently have a Sports Armor session scheduled. Interested in a program specific to your sport? Contact Coach Pace a Pace@TitanSportsComplex.com.